I attended another good masterclass hosted by Brown Beauty Talk. It was Brown Beauty Talk (BBT) in collaboration with Kercare haircare, at The Hunter Collective. The objective of the event was to educate and empower attendees to care for their hair and scalp with confidence. 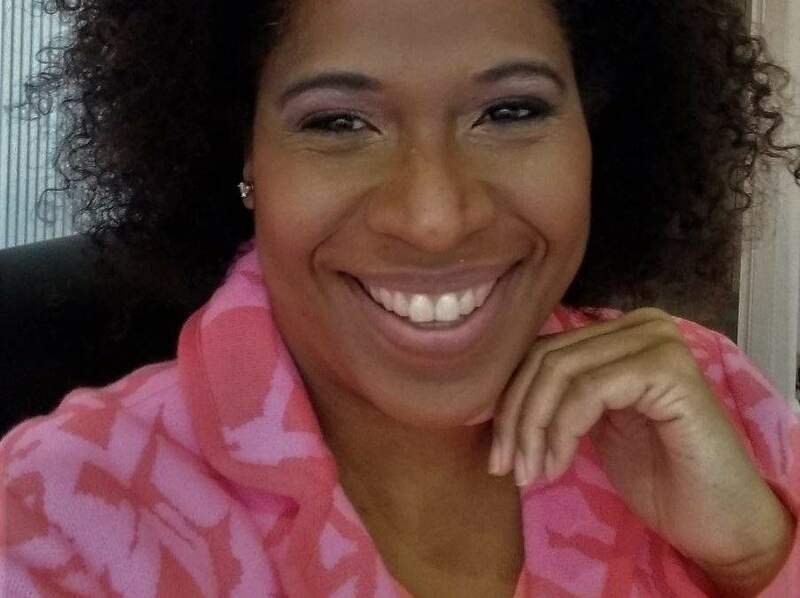 Avlon Industries’ very own Director of Education, Jacqui McIntosh, was in da’ hawse! Auntie Jacqui (pun not intended) took back us back to school for Afro Haircare 101. Her straight talk with a few jokes to buffer the ‘blows’ won me over. She busted several natural hair haircare myths wide open bwoy. Not only does Jacqui contribute to product development; she has worked with celebrities such as Joan Collins, Mica Paris, Kim Appleby and Destiny’s Child. Who better to learn from, eh? 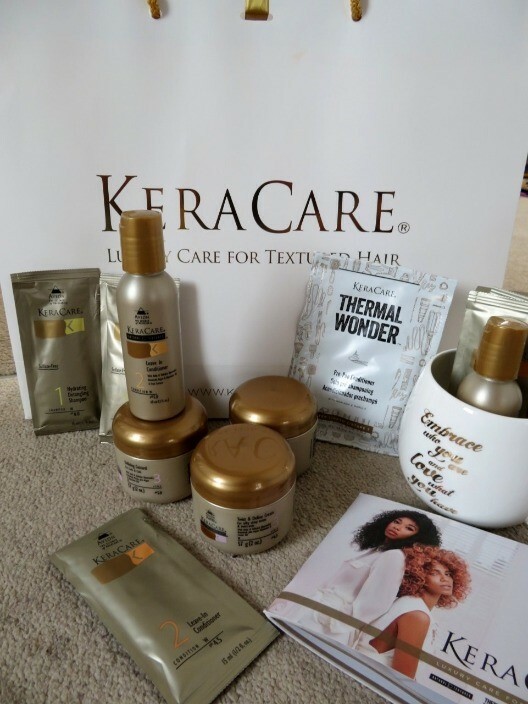 Here are my personal highlights from BBT’s Hair and Scalp Masterclass with Keracare, including Natural Hair Haircare during perimenopause. On Arrival at the event, I went directly to the scalp analysis station. It was vital to me. I unbraided my hair. Award winning Hairdresser, Lathaniel Chambers was at that station, conducting the analysis. Have you ever seen your scalp, follicles and sebum up close, it’s scary! Lathaniel said my scalp was dehydrated. He could tell by the colour of my scalp; it was pale yellow in colour. It should be golden. Honestly, I wasn’t surprised. I have been feeling dehydrated and my skin lacks moisture too… could be a perimenopause thing… it makes sense. You know what came next… Tip 1 HYDRATE. I was also advised to use the Keracare Moisturising Masque every two weeks. The masterclass included a hair styling presentation followed by Q & A. During the Q & A, Jacqui talked about DNA, diet (unhealthy inside) and hair products. She stressed the importance of a good shampoo and conditioner. However, they should be made with curly hair mind, so they don’t strip the hair. She even busted the myth about using heat on hair: If hair is prepared to receive heat, the hair will not be damaged. It will be no hardship to follow her advice. I love chick liver! Although, it’s been ages since I’ve had (it’s rich in Bs, Cs and E vits). Broccoli and spinach are regulars on my plate. I’m also learning how to take better care of myself, during this phase of my life. Congratulations to Brown Beauty Talk on another fun and informative master class. What are your hair goals for 2019? Mine is simply to sustain growth and health. It was a really informative session. My hair goal is to fix my scalp. It’s been neglected for too long but now I know how to fix it! I learnt so many valuable tips at the event. For example the connection of the skin on my body to that on my scalp. Thanks for stopping by. Thanks for the feedback.